Social media is a dynamic, ever-changing landscape, with networks shifting gears routinely—whether it’s rolling out new guidelines, new curve-ball policy tweaks or even API changes. 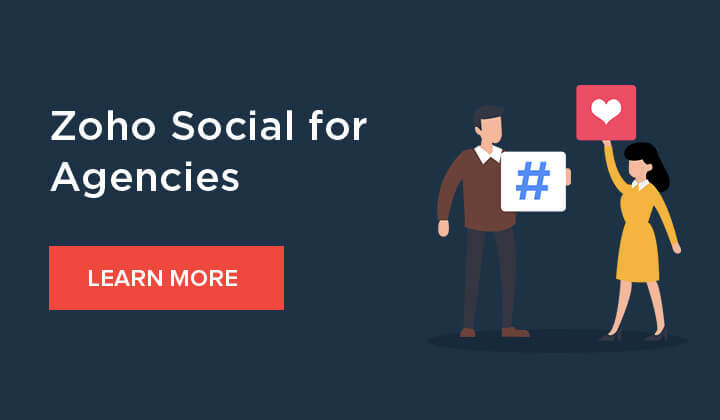 For businesses who want to use social networks for marketing purposes, it’s important to first know who and what shapes these platforms. Because gaining a clear understanding of the platform you’re doing business on, is half the battle won. For businesses pumping-in resources to market their brand on social media, it really helps to know the who’s who of social media marketing. Why? Because as trends, networks and the market pulse ebbs and flows, it’s the industry watchers making sense of how businesses and consumers fit into the greater narrative of the social media marketplace. So we decided to put together a definitive list of influencers and experts in the social media marketing space, to look out for in 2019. While there might be more great additions to the list (let us know in the comments), we thought this would be a good place to start—to know the people of SMM, and traverse the social media landscape using their expertise and knowledge. As a social media specialist, Ian’s key areas of influence includes helping small businesses and entrepreneurs find their feet on the vast world wide web, as he brings in a decade of experience into it. His expertise as a marketing expert and his savvy around marketing tools is probably what earned him the online moniker ‘The Tools Guy’. Ian also specializes in teaching how to handle Lives (live videos) for marketers. One of the well-known faces on the internet, it’s really hard to miss Jeff Bullas if you’ve ever ran a search for social media marketing. His education and outreach covers a wide spectrum of marketing efforts from trends-mapping, content-planning, down to SEO. With over 500k followers on just Twitter and an even larger reader-base, Jeff enjoys one of the widest reach as a social media marketing influencer. Lilach’s social media marketing pieces spans everything from lead generation, trapping engagement and using specific features and tools to enhance your brand’s marketing game. What we like is that each piece serves a purpose and all her insights and research, drill down to tracing the bigger picture on content and social media marketing, with the goal of conversion in mind. Mike does a lot of interesting things. From sharing social media lessons from Hershey’s Chocolate World with his podcast listeners, to creating non-profit wrist-bands that match his social media ideology, there’s several interesting social media marketing lessons to mop up if you’re following him. A social media consultant and Twitter marketing expert, she’s the brain behind the #TwitterStarter Twitter chat and podcast which has gained millions of impressions to-date. She also made the ‘video like a rockstar’ programme for teaching marketers video marketing. The words ‘Facebook’ and ‘Marketing’ closely follows Mari Smith everywhere. Don’t believe it? Run a google search, you’ll see what we mean. She teaches everything from navigating the network’s dynamic environment, and adapting your marketing strategy to fit those tiny changes that the network seems to keep introducing every other day! From hashtag strategies to how to build Insta stories, she is a go-to resource for all brands wanting to improve their Instagram marketing. Sue gives virtual training for better branding on social media, with a special focus on Instagram marketing and teaching how to go about positioning your brand on the network. Jenn covers every thing social media and trends related—specifically for Instagram. Besides helping brands audit and build their social strategies, Jenn also routinely sums up all Instagram marketing updates on both, her website, and for a multitude of social media publications. For those living in the UK, Jon covers the 360 of marketing ranging from SEO, content, email and last but not the least, social media through his workshops and podcasts. The best part? He also carries expertise in finding the right tools for the job, and specializes in training and orienting businesses to use the best marketing tools in the market, to position their business better. Jeff’s website strap reads ‘Adding testosterone one Pin at a time’. That says more about him, than anything we can write here. But, for anyone who didn’t pin enough interest into Pinterest marketing and wants to know where to start, he is a go-to person—he writes on optimizing your brand’s marketing for the network, and about visual marketing as a whole. As the founder of one of the most read SMM website in the world –Social Media Examiner– and the go-to social media event (SMMW), Michael is a familiar face in the industry. Besides also running a marketing consulting firm, he writes and speaks on all things social media, regularly. A consultant, Neal also teaches social media as an author and a popular keynote speaker covering many topics, notably on best sales practices on social media. Chances are you’ve heard of his book ‘Maximizing LinkedIn for Sales and Social Media Marketing’ while researching for a LinkedIn marketing ideas. Touching 100k monthly downloads of her social media podcast, Pam has an arsenal of subscribers to her social media marketing insight, which she’s built over many years. Although she looks at all things current on the social media sphere, she’s not afraid to go back to the basics and whip us up a nice content calendar template. You’re welcome. Jasmine Star’s website looks so color-coordinated and pretty, you’d wish your Instagram-profile looked like that. It’s no wonder that she’s a master of the platform, helping businesses strategize and make more money off it (and social media platforms). Oh it’s not just her website, her Instagram-feed is also, for the lack of a more appropriate term, quite lit. From social media ideas for small business owners, to large-scale Pinterest marketing strategies, Kim packs a whole lot of social media expertise. She also writes on a multitude of topical things that find relevance with both entrepreneurs and social media marketers (which in some cases are the same people). The Co-founder and author at Curatti, Jan writes broadly about building your business on the internet. While she talks and writes social media, her expertise stretches into other broad areas of website management, digital strategies and the marketing ecosystem. Meanwhile, her brainchild Curatti comes up with new styles of content, like this Infographic here about the most Instagrammed authors. Peg is another go-to Instagram expert on our list, who also authored ‘The Art of Social Media‘. The social media blogger, teaches some key aspects of video marketing that’s quickly gaining more relevance with Instagram being the fastest growing network right now. This includes themes like cross-over video marketing between Youtube and Instagram. Brands, are you listening? Nicky’s social influence owes itself to her versatility with both LinkedIn and Twitter marketing strategies and her keynote speaker skills. A contributor to social media publications like Social Media Examiner, she’s not just an influencer but also a social media trainer helping corporates with social media on-boarding. Brian recognizes himself as the ‘millennial keynote speaker’ and true to the name, his blogs and podcasts cover the crucial topics that interest and matter to millennials who run businesses powered by social media marketing: technology, social media and contextual business tips. Social media marketing insight find a unique intersection point from all of Brian’s focus areas – business, technology, dynamic markets and disruption. As a speaker and author, his perspective of the social internet’s landscape and his predictions, touch one of the key areas of social media marketing: rethinking strategy. Now that you have the definitive list, let us know who else you’d like to have seen featured. And speaking of lists, you can join our public Twitter-list for all things social media marketing right here.